Veterans who suffer from an injury that was caused or made worse during their active military service can make a claim to receive benefits from the Department of Veterans Affairs. These benefits are tax-free, paid to veterans on a monthly basis, and known as VA disability compensation. The VA disability compensation process can be a challenging undertaking for veterans and their families, especially for those who have never gone through the process. That’s why having a veterans service officer (VSO) on your side can be extremely helpful. Was your disability caused or made worse by your service? How does the disability affect your ability to obtain employment? If the VA determines that your condition was not caused or made worse during your time in the military, then your claim will be denied. However, you can appeal the denial of your claim. See the section below on Appealing a Disability Claim Rating for more details. When your claim is approved by the VA, it is assigned a disability rating. 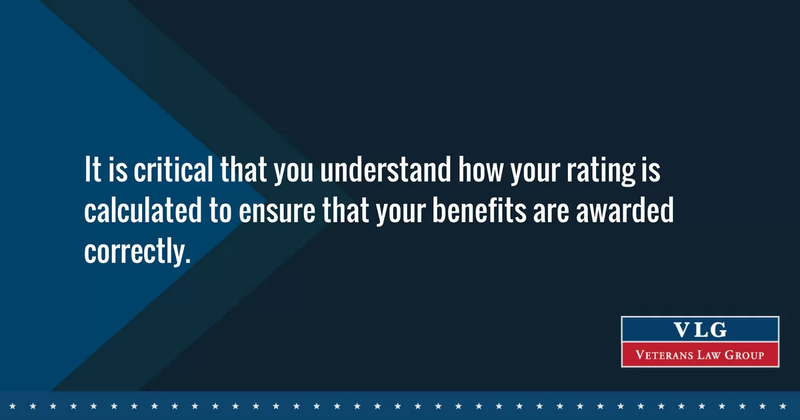 It is critical that you understand how your rating is calculated to ensure that your benefits are awarded correctly. A VSO can assist you with reading and interpreting your disability rating. If benefits have been granted, you will receive a Rating Decision. This letter will state your disability rating, compensation amounts, and the date from which your benefits begin. After carefully reviewing your determination letter, if you agree with the VA’s decision, you do not need to take any action to begin receiving your compensation. Your initial payment, which will include any past due amounts, should be mailed to you or direct deposited into the account number on your application within 15 days after you receive the notification letter. From then forward, your payments will be sent on the first day of each month. Sign-up for direct deposit with the VA. This enables you to receive your monthly compensation funds deposited electronically into your checking account, and it helps avoid complications from a lost or stolen paper check. Consider registering for additional VA benefits. These include VA medical care, dental care, life insurance, and educational benefits, among others. Research disabled veterans benefits available in your state. Many states also offer their own benefits for disabled veterans, which differ from state to state but may include reduced or exempted property taxes. You can appeal the denial of your claim or a low rating by filing a Notice of Disagreement (Form 21-0958) with your regional VA office. The notice is a written declaration informing the VA that you disagree with their decision. Submitting this form will open an appeal to your compensation decision with the VA. You have one year from the date that you receive your determination letter to begin the appeals process. If your disability worsens after the one year appeal time is up, you can request an increase in your VA disability compensation using form 526EZ. You can support this request by enclosing medical evidence of your worsened condition. Generally, the VA will then schedule a new C&P exam to re-evaluate your disability. If the new evaluation increases your disability rating, your monthly compensation will also rise. A claim for an increased disability rating can be more complicated than one might think. That is why it’s in your best interest to consult with your VSO before moving forward with a request for increased compensation. The VA also has the right to re-examine your disability rating at any time unless you were deemed permanently and totally disabled in you rating decision. If you receive a letter scheduling you for a re-examination, then it is extremely important for you to attend or reschedule this appointment. If you do not, the VA can reduce or terminate your benefits. While the VA disability rating system can be complex and hard to understand, finding answers to your disability claims questions doesn’t have to be difficult. Take our free quiz to determine what resources are available for your specific needs.